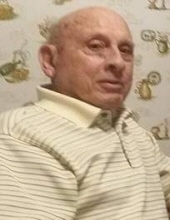 Raymond “Ray” E. Taylor, long-time Ponca City resident, passed away on February 1, 2019 at the age of 91. A memorial ceremony will be held on Tuesday, February 5, 2019 at 2:00pm at the Trout Funeral Home Chapel. Ray was born in Blackwell, Oklahoma to Orville and Zelma (Burns) Taylor. He grew up in Ponca City, graduating from Ponca City High School. He took a job as a Sales Associate at the Ponca Automotive Store when he was a junior in high school, which was the beginning of his 48-year career in the automotive parts industry. He later moved his family to Norman, Oklahoma to become the store manager for the Automotive Incorporated and continued his career as a store manager in several locations in Oklahoma before moving back to Ponca City upon retirement. After his retirement, he was a member of the Ponca City Gun Club and he enjoyed woodworking and several other hobbies. His greatest joy was being a husband, father, grandfather, and great-grandfather. Survivors include his wife of 68-years, Bessie Taylor; daughter, Sheryl Russell; daughter, Terri Watts and her husband Larry; daughter, Joni Hartis and her husband Craig; son, Doug and his wife Susan; three grandchildren, Brandon Buell, Austin Taylor and Taylor Hartis; two great-granddaughters, Destiny and Briley Buell; one sister-in-law, LaRita Taylor and many nieces and nephews. He was preceded in death by his son-in-law, David Russell; son-in-law, Kent Buell; his parents; two brothers; one sister; one sister-in-law; and one brother-in-law. Memorial contributions may be made in his honor to Hospice of North Central Oklahoma, 445 Fairview Avenue, Ponca City, OK 74601. Cremation arrangements are under the direction of Trout Funeral Home & Crematory. To send flowers or a remembrance gift to the family of Raymond Edward Taylor, please visit our Tribute Store. "Email Address" would like to share the life celebration of Raymond Edward Taylor. Click on the "link" to go to share a favorite memory or leave a condolence message for the family.